The Cleveland Cavaliers are preparing for their biggest game of the season when they take on the Golden State Warriors in Game 3 of the NBA Finals Wednesday night. Down 0-2 in the series, a win is practically mandatory for the Cavaliers if they hope to keep their season alive. No team has ever come back from an 0-3 series deficit in NBA history, and the Cavs seem especially ill-equipped to win four straight games against these Warriors. 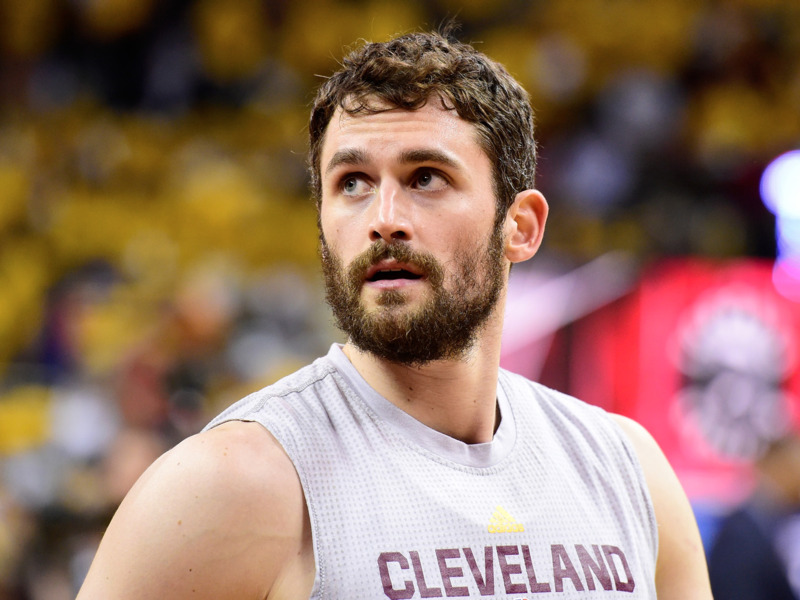 However, Game 3 had a new, interesting wrinkle added to it when it was announced that Kevin Love will sit out with a concussion he sustained in Game 2. Normally, this is horrible news for an underdog in the midst of the Finals, but for the Cavaliers, it presents a unique question: do Love’s defensive limitations outweigh his offensive contributions? The Cavaliers’ struggles in Games 1 and 2 go far beyond Kevin Love, though he does embody some of the general problems. The Cavs’ defensive rotations have been a mess, as they mis-communicate on screens and switches, often missing players on back-door cuts or closing out on shooters too slowly. On offence, the Cavs’ open three-point opportunities have largely been taken away by the Warriors, and when they get switches, they waste time trying to pound the ball inside, resulting in tough, contested opportunities at the rim while other players stand around. So far, Love has struggled on both ends. He simply isn’t a great defender, and has thus far proven spacey off the ball, too slow to stay attached to Draymond Green or switch onto the Warriors guards. On offence, Love has had his moments, but he isn’t a dynamic enough post-up player to sufficiently make the Warriors pay for switching smaller players onto him. After LeBron James carried the Love- and Irving-less Cavs to a 2-1 series lead in last year’s Finals, speculation arose that the Cavs are better off with James running the show, surrounded by shooters, defenders, and role players. The Warriors even reportedly were more concerned in last year’s Finals when Love and Irving were out, fearing these type of lineups the Cavs would put around James. Coming into this year’s Finals, the NBA world wondered whether it actually benefited the Warriors to face a fully healthy Cavs team. Though Irving and Love take pressure off James on offence, the Warriors can attack them on defence, knowing neither player are good enough defenders to stop them. The minutes that Irving and Love play takes away from some of the superior defenders the Cavs had to play in their place last June. With Kevin Love out for Game 3, the Cavs will have to resort to these types of lineups again. They could go “small,” playing James at the four more often and putting more quickness, shooting, and ball-handling around him. Love’s absence could also open up minutes for Channing Frye, the sweet-shooting big man who gives the Cavs’ extra spacing and mobility but has thus far been largely chained to the bench. In essence, Love’s absence will test his value to the Cavs. Were last year’s Finals any indication of how the Cavs can play with James as the focal point? Or were they two fluke wins, buoyed by superhuman performances by James and inexperience in the Warriors? Again, Love has not been the Cavs’ sole problem, but his concussion limits the Cavaliers in ways that may actually benefit the team. A Cavs win with Love on the sideline may speak volumes about how much the team really needs their $113-million power forward.